I am Dora. I am new to digital marketing. It feels great to discover and join Wealthy Affiliate. I'll keep my eyes and mind open. Nice to meet you all awesome guys here! Hi Dora, nice to meet you! All the best with your journey here at WA and life! I started here a few months after you and so far know this is a great family and will be here for at least 3-4 years to see where this journey will take me. I wish you all the best this year and beyond! Stopping by saying hello. Thank you for liking a comment of mine. Following you now! What a cute cat you've chosen as a profile image. I love cats! See you are doing the GoGetters training by Bo. Me too! It has started out really, really good. Bo, he is a genious!! We'll learn a lot! Wish you a great journey to success! Hi Dora are you Dora The Explorer by any chance? I just bet you are. Tee hee. I'm pretty new here also and spend more time talking to folk at WA than doing my lessons. Must turn over a new leaf. Thanks for following me I'll be following you right back. Hey Dora, thanks for the follow, I'll be following you too. This is a great place to be. I am new to all of this too. I'm still amazed at the amount l have learned already. I'm way outside of my comfort zone, but the people here make it a lot easier to handle. I can't wait to tackle the next lesson. Good luck and see you at the top. Hey, Dora nice to get to know you a tiny bit and thanks for adding me to your network. I will add you to mine as well. I like to sing, draw, a little carving on sticks. I love God, my Church, my amazing wife, and our cute dogs. We like to take off a couple of times a year with our trailer to our favorite spot and have started to plan an extended trip to somewhere North where we can see the northern lights. We live on the wet west coast of Beautiful British Columbia, Canada. So, How about you. What do you like to do in your spare time? Tell us a little about yourself. Helps us to get to know each other and become better friends. Hope I'm not being too forward and I do look forward to connecting from time to time. In the meantime...all the best as you continue this journey. Nice to meet you at WA! Me and my husband live in southern Ontario. We have two dogs. They are monsters but smart enough to keep us entertained all the time. At our spare time, we do love to go up north to camp in Summer (I love Grundy Lake). And attend The Bala Cranberry Festival in Autumn. Other than that, I love music and reading, and he love to work and play in his garage with his truck and motorcycle. He's good at mechanical things. My husband doesn't believe things like WA. I want to work hard to get some results out so I can win him over to support me better. LOL. Have a nice day and all the best with WA journey! Hi Dora, nice to hear from you. I look forward to getting to know you my new WA friend. Sorry about the delay in responding but I am a bit slow at the moment. Trying to do too many things at once. I see from your posts that you do have a website. You might want to think about putting the links here on your profile page. You should also do some more blogs here on your profile page. These go into Google too so add to your online profile. Let me know when you have website here so I can comment. Hi! DW66, Wow, you are a 3-month old WA, who is still my senior because I am at WA infancy of 2+ weeks. I am in struggle to pursue affiliate marketing by building www,ebettercare.com inside WA in partnering with one of WA trusted members. Please look into it and see what you may advise to improve its functionality to monetize the contents inside www.formefirst.com. Hello Dora ... thank you for the follow. You really have found the best Affiliate Marketing training platform on the web. And the best part is it just keeps getting better and better. Why? The answer is simple and unique. Kyle and Carson. Don't Call Them Gurus A Dozen Years Later, The Future Has Never Looked So Good! Be patient ... be persistent ... be dedicated. Build it and they will come. I wish you the best on your WA journey. The community here is the best. I have been here since May 2016. Hi Dora. 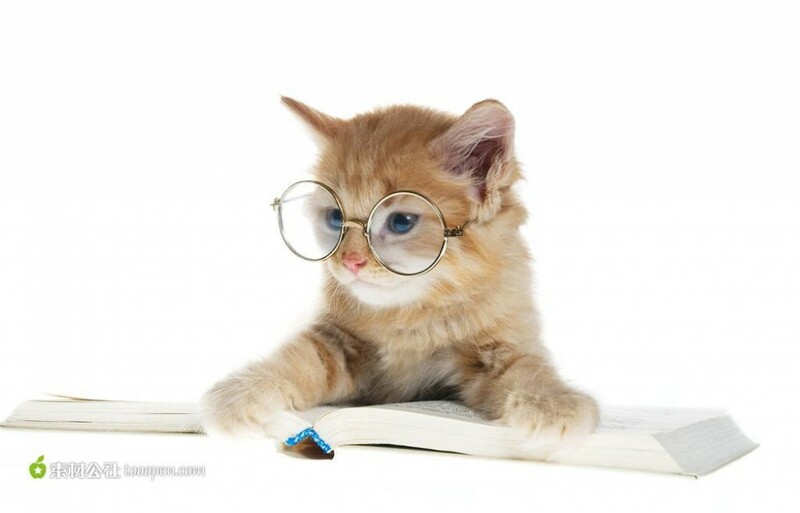 i love your cat in spects. Thank you so much for the follow. I wish you great success in your online business. Please let me know about your website so that I can visit and leave you a comment. In case you enjoy love poems, you can visit my website at beautiful-words.org. Feel free to leave a comment. Enjoy. Thank you for the follow. I will be sure to follow you as well. It is great adding you to my network. Thank you for finding my profile interesting enough to follow. One follow deserves another. I am praying that our Higher Power smiles on our endeavors. First thanks for your FOLLOW. I appreciate. I noticed you joined approx 1 month ahead of me and already you got your first website up and got it indexed. WOW! Fantastic. I feel a bit stuck (am at 1.5 in the training ... the bit where one creates a website and am a bit stuck. But I guess I'll figure it out and overcome! hi Dora, lovely meeting you and welcome to WA. I haven't been here long myself but it's an awesome community and everyone is extremely helpful and supportive. Thank you for following me - lovely to meet you and join with you on this journey together. Nice glasses, I like them. I joined in April and am also new to digital marketing. I have learnt so much in the short time I have been here and I am guessing you have to. Still a way to go but I am confident we will achieve our goals through WA with a bit dedication and hard work. Thank you for the follow and I wish you all the very best in all aspects of life. Thanks for the follow, I am new here as well. I signed up a while ago but never did anything. Until about a week ago almost 2 weeks (how time flies) But I am finding the same things you are. The people are great, and the training is wonderful. Hi Dora thanks for the follow and I will follow as well. First of all welcome to Wealthy Affiliate. The is a great place to learn online marketing. WA has the best training platform this business has to offer. The community/family is awesome. We will encourage you inspire you all the way to the top of your journey. Best of luck in your new business adventure. Welcome to Wealthy Affiliate Dora and thanking you with the follow much appreciated. As you continue with Kyle's lesson you will see how much knowledge you will have gained in building that solid foundation with your website. Remember to believe in yourself and always go forwards. I am sure you will find WA a great community, people from all over the world and from all walks of life. Welcome to Wealthy Affiliate. Great to have you here in our community. I want to thank you for having me be a part of your network and I've followed you back as well. I hope all is working out well with your online business and wish you much success fulfilling all of your personal and financial goals. Thanks, Jason. Nice to meet you! Hello Dora, thank you for the follow, I am now following you and welcome to Wealthy Affiliate! You have came to a great place to learn about Internet marketing and making money online and I know that there are many people here who will help you move your business forward and answer your questions. I wish you every success in your new venture and I look forward to networking with you and reading your blog posts. All the best to Dora, Roy. Thanks, Roy. Nice to meet you! Awesome! Thanks, Frankie! Same to you, all the best! My gratitude to you for joining up my network circles and please accept my return following message. I must admit we are struggling to keep up with thousands of our members profile here at WA. But a brief of profile preview would handy for me to a bit about you, my friend. Hopefully towards end of 2017 you are also in good stride in achieving your goals and aspirations overall. To your success! Thanks! AfqmBiz @ Zulkarnain @ AFQM Ent. Awesome! Nice to meet you @WA. I enjoyed reading your message. Have a great day! Thank you very much as I embrace the opportunity of global friendship that never crossed my head of thinking before. What a better world when we have the opportunity to share among each other a good thought of our friends around the globe. 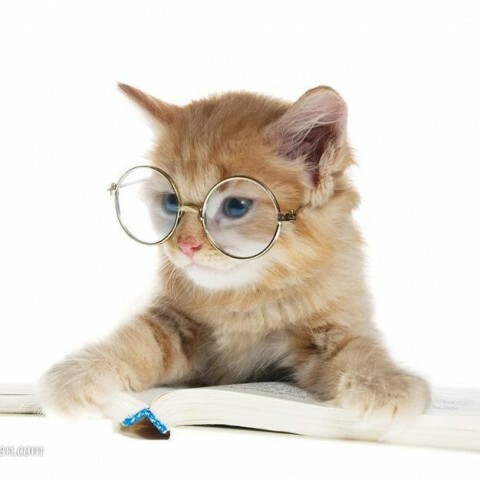 And that specky cat looks very focus on its subject lol. Cheers! I am trying to create a campaign by inserting the WA affiliate referral link into my "About Me" Message. But, what a campaign name should be. It looks like it does not allow me to enter uppercase letters, no space or special characters. Then what I suppose to create as a campaign name? Any examples? Hi, Dorothy, I am sorry, but I don't understand what you mean by campaign. Are you trying to add a link on your "About Me" page that will redirect to the Wealthy Affiliate site as a referral? Yes, that is what I really mean. But I was confused by this so call ed "campaign" thing in the "Link & Tracking" site. I am wondering how to utilize it. Maybe I would be able to find it in the course after phase 1 training? Hello Dorothy and welcome to Wealthy Affiliate. Awesome, Robert. Thank you for letting me know. Another question about how to count the referral credit. I know that this might sound like a stupid question by sense, and I asked it before but I don't remember that I got any answer about it. I lost the trace of that question anyway. So, I think that I just ask it again to make sure: If my referrals sign up through my links as starters, later they upgrade to premium/yearly, do I still get premium/yearly referrals credits from their upgrades? Hello,when your referrals signup through you and upgrade to premium as a yearly subscriber,you will get a yearly commission for that referral even as a starter member.if the referral subscribes To monthly,then,you get a monthly commission.the only difference is that you would have gotten 100% higher commission if you were a premium member.what I,mean is that you will get $8 for every premium subscription if your referral pays,monthly and of the $359 a year that your referral pays,you will only get about $84 as a starter member whereas if you were premium,you would get a whooping $175 for that referral alone as a yearly subscriber and $23 if he is a monthly subscriber and you are a premium member. Amazing stuff right? Hope you have been clarified.if you have further questions,please don't hesitate to ask. Hi Dorothy, it's great to meet you here at wealthy affiliate! I hope you are enjoying your time here and I hope you succeed as far as you want to go in your online journey. I absolutely love it here! The training and the community here, are second to none! I wouldn't trade this place for anything. Its an amazing opportunity! I wish you all the best and if you ever need anything along the way, just give me a shout. Hello Dorothy,♫Welcome! Nice to meet you ツ I wish you a lot of learning pleasure and fun on WA. Thank you for adding me to your network. Dorothy, I see you are making some good progress through the Affiliate Bootcamp. Just wanted to pop by and see if you need a hand with anything? Anyways, just checking in. Get back at me if you need anything Dorothy. Thanks, Kyle. I am enjoying the training along the way. And Yes, it is overwhelming...I just wish that I can get this major figure out as soon as possible. It could be a problem for me though as I bounce my ideas back and forth too much. For example, I created my first site with WA a few days ago (http://www.have-fun-online.com), and now I start to wonder if this site theme is too general for me in nature. I start to sense that "one site covers one niche" would be a better idea. What's your opinion on this, Kyle? You want to be targeted with your niche, indeed. If you are too broad, you won't know who your specific audience is and you will be left in a constant state of overwhelm. I'd like to target call center workers, to be specific, AT&T and Convergys' call center workers. What do you think? Should I create another website or just make it one of the themes in my current website? I want to run a website or online store which affiliate WA, meanwhile fill in needs for call center workers. Any suggestions? Sure, you could definitely head in this direction. yesterday I came across a website while doing internet research: www.askamanager.org. Yes, absolutely. This is likely a theme that you have access to, I am not sure what theme specifically this is, but there are lots like this and with time you can absolutely create a website that is as thorough as this. It is actually a really simply design and there isn't a ton going on here with this site. Fairly straightforward and you are going to be learning how to build sites like this. Take your time, but just keep moving forward. That's what they tell me. "Do it right and you wont have to do it over." They always tell me, "Don't Rush, just follow all the steps, one day at a time and it will happen" :) Good luck and much success to you here at WA! Thank you Dorothy for following me here at WA. I wish you great success in this online endeavor. If you are struggling to work out how to build an automated online income feel free to touch base. If you struggle choosing a niche I would be happy to help. I think you will agree the training here is excellent, if you struggle with the application feel free to ask. I have found this community to be friendly, helpful and encouraging; hopefully you are finding the same. Thanks, Jeff. I do feel the same about this community. Thanks Dorothy - you will need to get establish with high ticket item on there internet and do a traffic on your affiliate links on ASAP successful online approach But if you are doing it on WA way to get obtain conversion you will need slowly get the way how the community works in WA, start your attractive character, and most of all have your tribe to buy your product all the time. Thanks, John. Can I ask what you mean by "high ticket" item? High ticket item means - high pricing product. Actually, I am a person with a lot of different interests. For example, I love food, enjoying playing in my kitchen. So developing recipes can be one of my niches. But how can I know if this niche is going to make a good amount of money for me? And where can I attract the audience to my website if I have one? Thanks. What kind of recipes, this is something that you will want to narrow down here. And yeah, you will be attracting your audience as you build out your content on your website. I look forward to working with you Dorothy and if you ever need a hand with anything going forward, please get in touch with me. Chat soon! Thanks, Tom! Nice to meet you here! Just wanted to shoot you a quick message and see how things were going thus far Dorothy? I am here to help if you ever need a hand with anything, just holler! In the past few days I've had people share great SEO tips, keyword tips, site speed tips, image optimization, stuff that I'm working on in my own site at the moment...and that is just in the chit chat, that's in addition to the lesson structure created by Kyle. You can ask questions in the lessons and in your own question box - see that pen in the top right of the dashboard. People usually respond very quickly. And PM me any time. Here is a pic of the menu I was talking about over on the left - the platform can seem overwhelming at first to newbies. I'm on GMT Dublin here, so I'll catch up with questions tomorrow. As you can see, there are lots of people happy to help on all time zones, it's a friendly group. Glad to see you are finding your way around! Hi there, Dorothy, it's nearly half way through your free trial, did you get a chance to look through what's on offer yet? I see you haven't set up your profile yet in lesson 1. If you have any questions about the training or what's on offer with the different types of membership, feel free to message me by replying to this or clicking on my profile photo or the Private Message system on my profile page, or any other member. Some of these options are only available the first week of Starter and are really part of the Premium membership, so ask plenty the first week and take full advantage of some great experience milling around the community at all times. After your first week, there is a special offer to take full membership for a reduced price of $19 for the first month. After that full membership costs $49 monthly or you can get a huge reduction on yearly membership at $359. You can choose to stay at starter membership and use up to 25 http://siterubix.com sites, but with limited access to the higher training levels and other members. The Premium membership gives you full access to all levels of training and the active community, with up to another 25 websites of your own domain and high end Wordpress specific hosting. Thanks, Moz. What do you think about the Affiliate Bootcamp? Just by attracting new signup, you can expect a good monthly passive income? Yes, even just one signup is $23.50 and that is half your membership or hosting, whichever way you like to look at it. Two sign ups and you are free! Some people in here make over 300 sign ups every year and go on the Vegas trip and one or two make 3000! But I think even more people would make it to Vegas if they had their subconscious on board and the money story work done... My first website was a bootcamp website and even though I let it go, the commissions from that pay for my membership in here now! I will do another soon, am working on a health niche site at the moment as I had to work on my health and am passionate about the niche. But no doubt the commission offered in bootcamp is one of the best deals available and open to newbies too. [I applied to NG affiliate and even though their website says they will respond in 3 days they did not reply yet in 3 weeks, and I know another newbie in there did the same] most people want us to have traffic already, that is why I love WA, they give new people an opportunity. Thanks, Moz. You are great! Well thanks Dorothy! I see your 7 days are up soon on the free trial, message me any time on FB if you've more questions. You are awesome. thanks, Moz! Well it's a friendly place here, everyone tries to help out with resources. Have a great evening and night! Hi there Dorothy, welcome to WA training in all aspects of internet, marketing, and having an online presence. You have immediate access to 20 levels of training and 2 free websites, which are yours to keep. If you decide you would like advanced training, then you can opt for one of the membership options. You will notice a 'rank' number on your 'profile', it is just a means to get people to participate, don't let it distract you from the training. It is a good idea to fill out your profile as you can make genuine friends, and will potentially get more answers to your questions. Enjoy the training and feel free to ask any questions. Google indexed my first website!